On 9th August volunteer Ineta, professional folk dancer, has visited Rukla Refugee reception centre for the first time of her life. 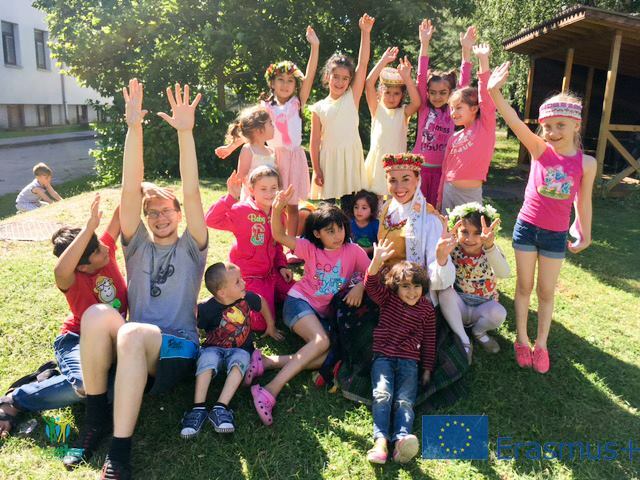 Ineta has taught refugees’ kids traditional folk dances of Lithuania. Refugees had an opportunity to try traditional outfits and hear the background of folk dances! Today folk dances usually go hand in hand with folk songs and are performed on stage. But originally they would include entire communities. Many dances have slower and faster parts and are danced in circles which transform into lines, "snakes" and other formations as the dance progresses, or may even temporarily "disintegrate" into pairs. The dancers' actions may be so elaborate that some Lithuanian dances are also known as "games".